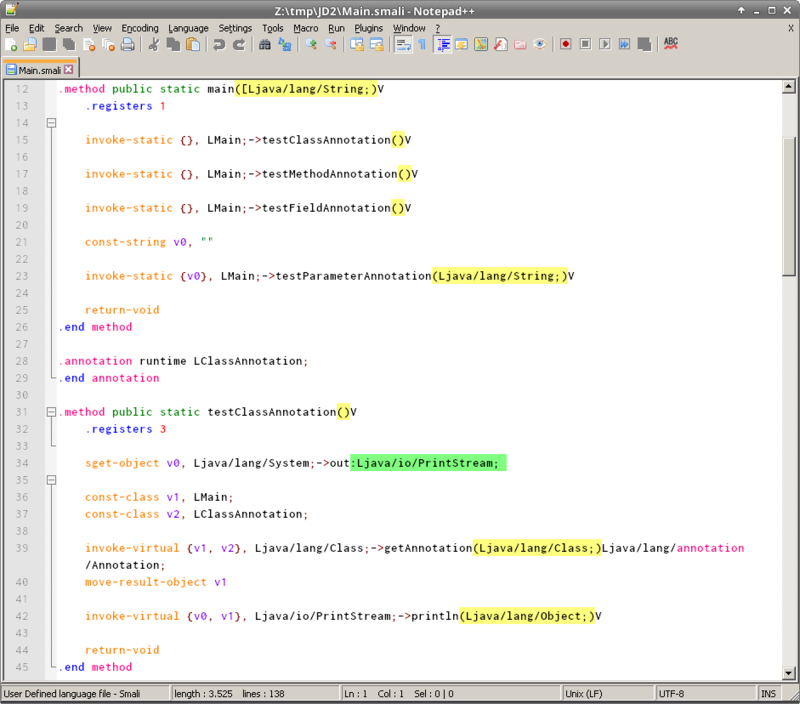 when using 'code folding' in Notepad++ its not working properly. Lines are shifted or placed completely wrong. It works properly on Windows. I've noticed this bug for more than 2+ years. - Download and import this 'Language' file (Language/Define your language.../import). - Open this smali example file. - Proper folding should be Line12-26 (not 14-29). What makes you think this is a Wine issue? It happens exactly the same way on windows. You're right, sorry. Looks like i've compared different files at different times before. Seems like it faded out slowly. But yes, it doesn't seem to be a Wine issue indeed. Again, sorry. I wasn't aware until you told me.